As mayfly season slowly drifts away, I have witnessed two big fish this week and I was lucky enough to catch the first. Lucky that at the end of a long days fishing, I persuaded my tired body to walk back down the river to cover a fish I saw rise to a mayfly dun. 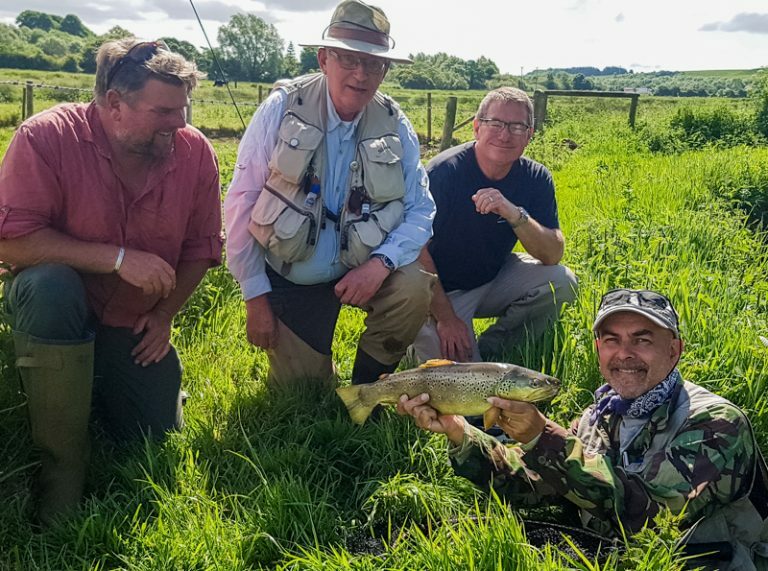 What a fish it was too – a beautiful young fish that was 21 inches (54cm) long, thick and fat, it has been estimated to have been at least 4lb – a stunning way to celebrate my 32nd year fishing the Club’s waters. While I was chatting to John Aplin & Kev Ackerman down by the river the following day, Trev Stroud telephoned to say he had just landed another big fish. A quick dash down (also bumping into Matt Rosekilly (ex Hon.Treas)) we found Trev with another beautiful fish, this one weighed at 3lb 7oz. The big fish are still about and feeding on the mayfly – so get out ASAP and catch one yourself….